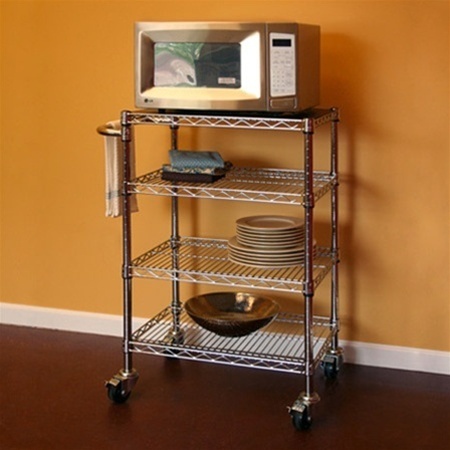 NSF approved Wire kits are ideal for industrial kitchens or to add extra workspace and storage to your home kitchen. 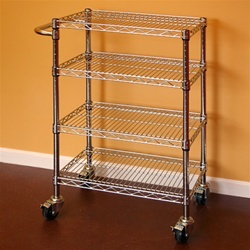 Kit includes Four (4) 12"d x 30"w Wire shelves with split sleeves, (1)push handle, and (4)casters. Height with casters is 37"